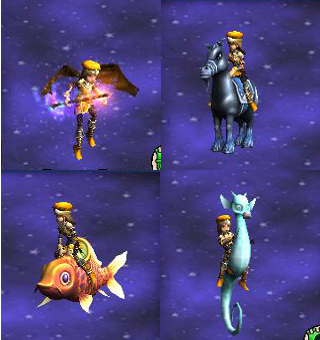 Today is the start of Wizard101's Mount-a-Palooza sale! You can get mounts in the Crowns Shop for up to 60% off! Make sure you hurry and check the sale out, because it ends April 21, 2013. 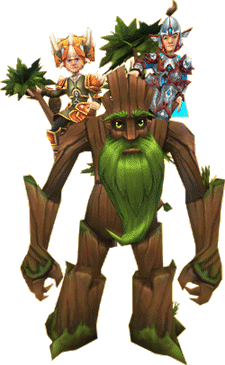 Kingsisle has also released the first 2-person mount that has been available for purchase in the shop.....The Treant Mount! 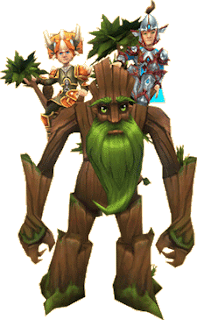 This mount is normally 15000 crowns, but can be purchased during the sale for 13500 crowns. There are also several retired mounts that have been brought back, as well as a few mounts that will be retired at the end of the sale. To see all the details of the Mount-a-Palooza sale, as well as a complete list of mounts being brought back and/or retired, click here. This sale is awesome! And I figured Secrets of the Spiral could participate with a little surprise. I have decided to give away a mount to one lucky person. Not any mount though. The winner will be able to choose one of the four mounts that is going to be retired: Bat Wings, Moonlight Pony, Ancient Koi, or Spritely Seahorse. Here's how to enter: Follow this blog and leave a comment by Friday, April 19, 2013 at 12:00pm Eastern telling me which one of these four mounts you would like to have. I will choose one random winner using random.org and will gift that person the mount that they commented about. *Important note* If you are under the age of 13 years old, please get permission from your parent/guardian before entering any contest or giveaway! I would love the seahorse! Thanks for the contest as always! I would pick the wings. I would like the seahorse. Thank you very much for this contest Autumn! I'd really love to have the Bat Wings as its always been one of my favorites ever since it was released, but the cost was always out of reach for me. Currently, it is the cheapest mount in the crowns shop and I'd really love to snag one before it retires. i would love to have the seahorse. i think they are just too cute. thank you for the contest. Oh cool contest.Thanks! I'd be grateful for a Ancient Koi. I would like the Bat Wings. Thanks for the contest! I always loved the Celestial Mounts, so I have to go with the Spritely Seahorse. Awesome contest and I prefer the Spritely Seahorse. I'd really love to have the Bat Wings. cool contest! I would love the seahorse if I won, thanks! Because i am a death wizard i'd like the "Bat Wings"